With the release of the Supreme Court Task Force recommendations, more people than ever before are gathering to take advantage of the opportunity to change the law and make the criminal justice system in our state more fair and accurate. 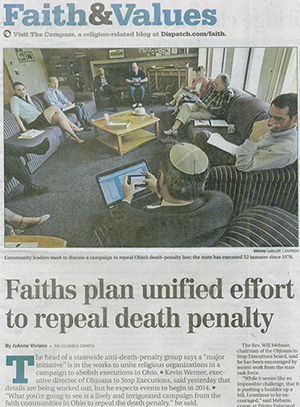 People of faith have always been a cornerstone of Ohioans to Stop Executions, and now leaders — bishops, rabbis, pastors, deacons, women religious, educators, lay leaders and others are coming together to realize the importance of this moment for Ohio. Click here to see who has signed the open letter so far!